Python experts and enthusiasts from Russia and beyond, you are invited to join PyCon Russia, July 22-23. Toptal is proud to share that developer Andrii Soldatenko will be speaking at this conference. 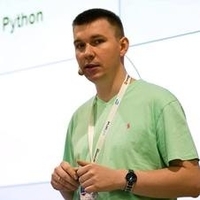 Andrii will take the stage July 22 at 4:15pm with a talk titled Sports Programming in Python. For more information and to RSVP, please see the event website or contact Andrii directly. Your message to Andrii was sent.